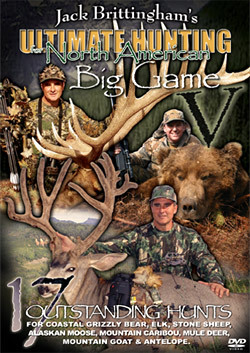 Continuing the Briar Lakes Productions tradition of Hunting Excellence, we are proud to bring you Ultimate Hunting for North American Big Game V.
Share in the thrill and excitement as you travel with the Briar Lakes Hunting Team as they bring you some of the most awesome big game footage ever caught on camera from across North America. 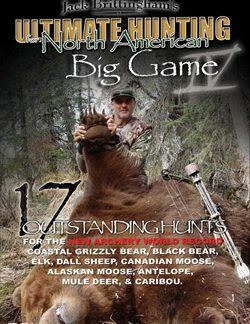 Feel your heart pounding as you face the world’s largest bears in the dense alders of the Alaskan backcountry. Listen to the echos of the bugling bulls through the aspens, as the rutting elk bring the New Mexico high country to life. 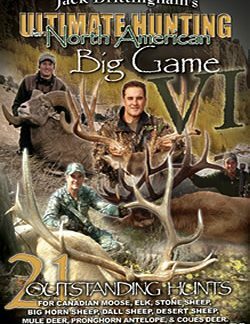 Go over-the-shoulder with these hunters to the remote corners of the continent after giant Alaskan Moose, Mule Deer, Mountain Goat, & many other species. 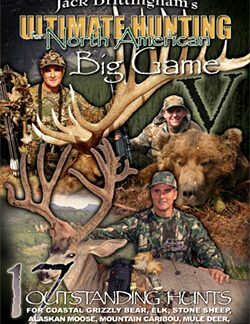 Hunting for North American big game is the ultimate journey of self discovery whether on the mountaintops of British Columbia in pursuit of Stone Sheep & Mountain Caribou, or in the desert low lands of Arizona stalking the ever elusive sharp-eyed Pronghorn. With each adventure you take a piece of the wild places back with you and leave part of your spirit behind.